Our company Sreemaa Chemicals was establised in the year 2007. 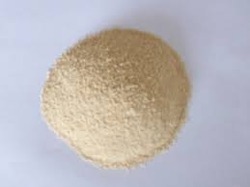 We are wholesaler of Sodium Bisulphite, Acid Bate, Sodium Formate, Sodium Flakes, Alkaline Bate, Formic Acid, Wattel Powder, Sodium Flaks, BCS, Wattel Solid, Magnesium Sulphite. Our offered products are widely demanded in markets. These products are made by quality raw material procured from some of the best and trusted vendors and the latest technologies are being implemented. These products come in a variety of colour and design as per customers varied requirements. These products have long service life and are highly durable. These products can be availed by our clients at competative prices.